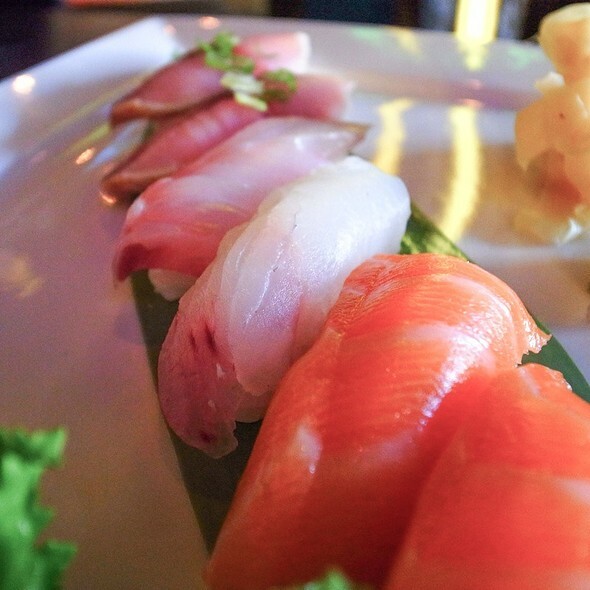 Known as one of the premier sushi caterers in New York City. Asuka Sushi has an established 2010, national reputation for exceptional food, creativity, and presentation combined with outstanding service. We guarantee fresh and quality ingredients for healthy and tasty food. Spicy tuna, crunch and cucumber wrapped with tuna, salmon, yellowtail, avocado, mango and tobiko. Sweet potato tempura, asparagus and spinach topped with avocado and red bean. Eel, cucumber and wrapped with tuna, salmon, yellowtail, avocado and mango. Spicy salmon and cucumber topped with salmon, jalapeno and salmon caviar. Spicy tuna with avocado and flying fish rose on the outside. Eel, cucumber inside with avocado and tobiko on top. Spicy tuna, cream cheese and jalapeno with eel tobiko. Eel, cucumber, wrapped with tuna, salmon, yellowtail, avocado, and mango. Shrimp tempura, eel, cucumber, avocado and tobiko wrapped with pink soy paper. Spicy salmon topped with spicy tuna and crunch tobiko. Salmon, avocado and ikura topped with spicy tuna and crunch. Tuna toro, salmon toro and yellowtail toro topped with avocado, asparagus and cucumber. Shrimp tempura topped with lobster salad, avocado, tobiko and served with coconut sauce. Tuna, salmon and yellowtail. Served with miso soup or garden salad. 2 tuna, 2 salmon, 2 yellow tail, 2 eel and one California roll. Served with miso soup or garden salad. 12 pieces of sushi dragon and rainbow roll. Served with miso soup or garden salad. 10 pieces of sushi, 18 pieces of sashimi and rainbow roll. Served with miso soup or garden salad. Tuna, salmon, yellowtail, eel, avocado and tobiko. Smoked salmon, cream cheese, asparagus, spinach and tobiko wrapped in rice and seaweed. Wasabi, lobster, asparagus and crunch wrapped in rice and seaweed. Tuna, salmon and California roll. Served with miso soup or garden salad. Avocado, asparagus cucumber and vegetarian roll. Served with miso soup or garden salad. Eel avocado, tuna cucumber and salmon avocado. Served with miso soup or garden salad. 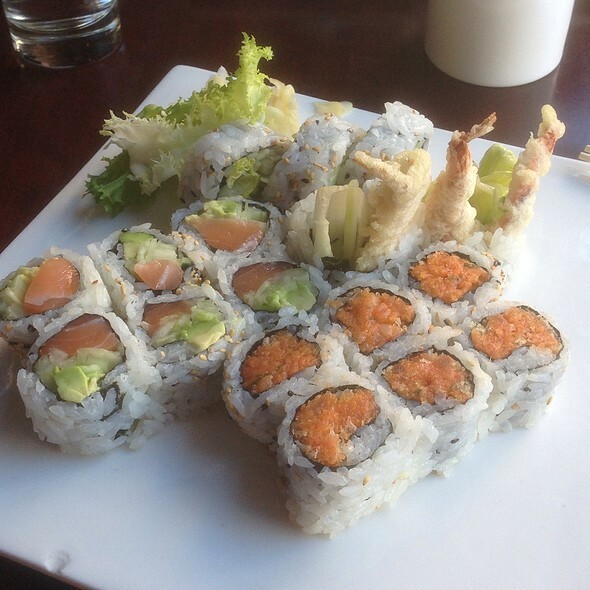 Spicy California, spicy tuna and spicy salmon. Served with miso soup or garden salad. Dragon, shrimp tempura and Alaska. Served with miso soup or garden salad. Dragon, rainbow and king crab avocado. Served with miso soup or garden salad. Six piece battered, fried vegetables. Broiled on a skewer. Two skewers each. Shrimp, salmon and scallops. Served with rice and soup or salad. Beef, chicken and shrimp. Served with rice and soup or salad. 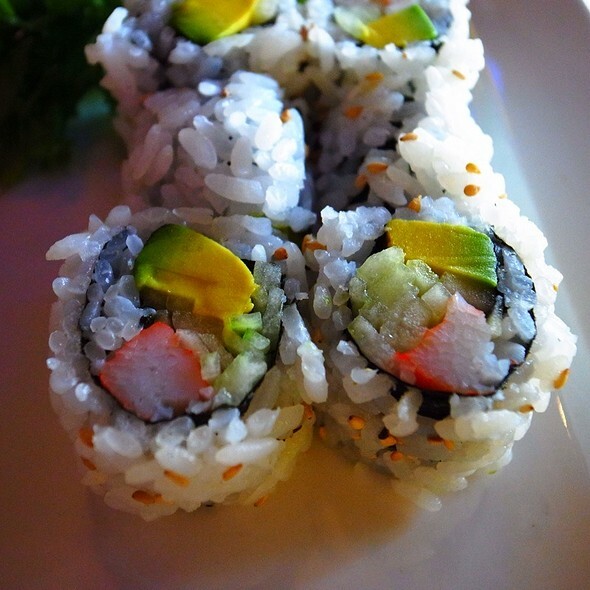 Shrimp tempura, avocado and cucumber topped with wasabi lobster and jalapeno. Soft shell crab and cucumber topped with eel, avocado and tobiko. Shrimp tempura and cucumber topped with tuna, yellowtail, salmon and avocado. Lobster tempura and cucumber topped with eel, avocado and tobiko. Grilled lobster, lettuce, cucumber and mayo topped with eel, avocado and tobiko. Shrimp, chicken and vegetables. Served with rice and soup or salad. Served with salad or miso soup and rice. 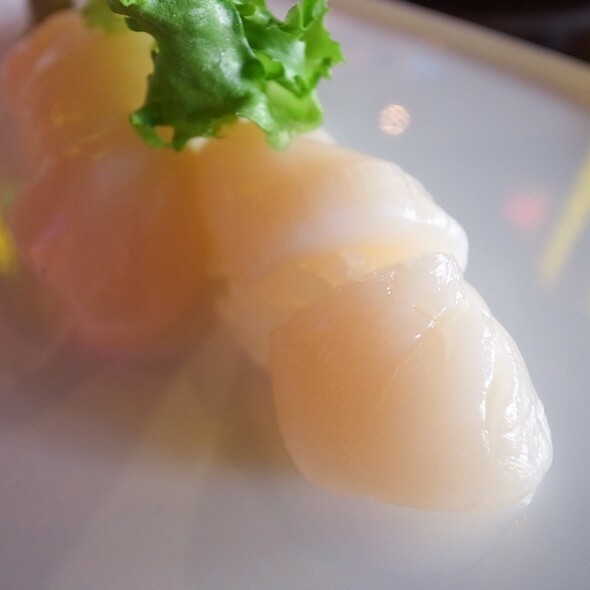 Shrimp, scallop, fish, squid and vegetables in a house special. Served with salad or miso soup and rice. In a garlic teriyaki sauce. Served with salad or miso soup and rice. Grilled beef steak with batter wine teriyaki sauce. Served with salad or miso soup and rice. Served with a dipping sauce on the side and salad or miso soup. 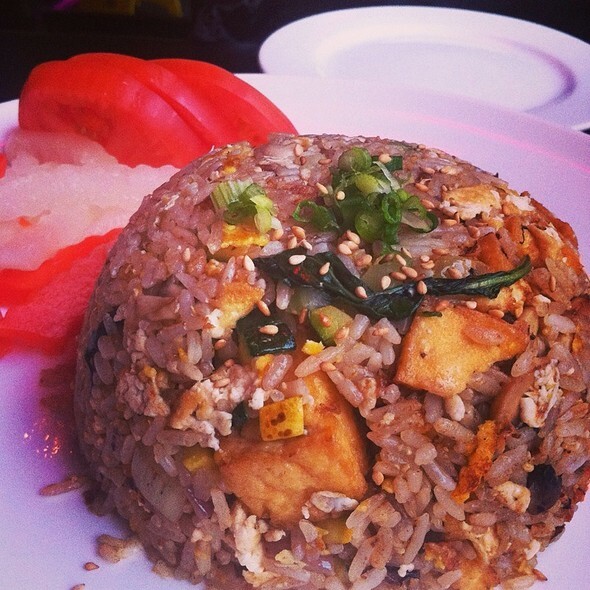 Served with choice of noodles and miso soup or garden salad. 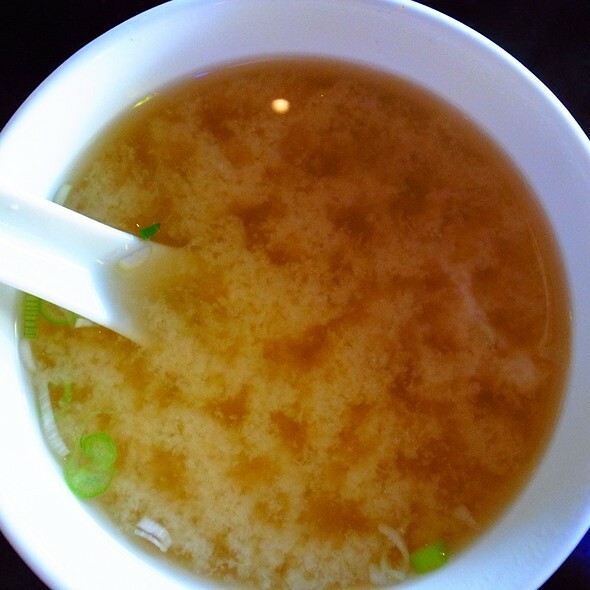 Served with miso soup, salad, rice, California roll, shrimp shumai and vegetable tempura. Choice of: Coke, Diet Coke, Ginger Ale, Ice Tea, Sprite, Diet Sprite, Seltzer, Spring Water, Hot Green Tea. 16 pieces of assorted sushi, 50 pieces of assorted rolls. 24 pieces of assorted sushi, 72 pieces of assorted rolls. 32 pieces of assorted sushi, 90 pieces of assorted rolls. Asuka Sushi is a mid-price Japanese restaurant. The food is good and well-prepared; the prices are moderate and there is a large selection of Japanese food. The staff is excellent. Each person is customer-oriented and is polite and helpful. My only complaint is that it tends to be noisy, but that is because it draws a tremendous crowd. There is no loud music playing so the noise emanates from the people. Loved it. Great neighborhood spot, fresh fish, great service. It does get a bit loud during their busy time but I'd definitely recommend. 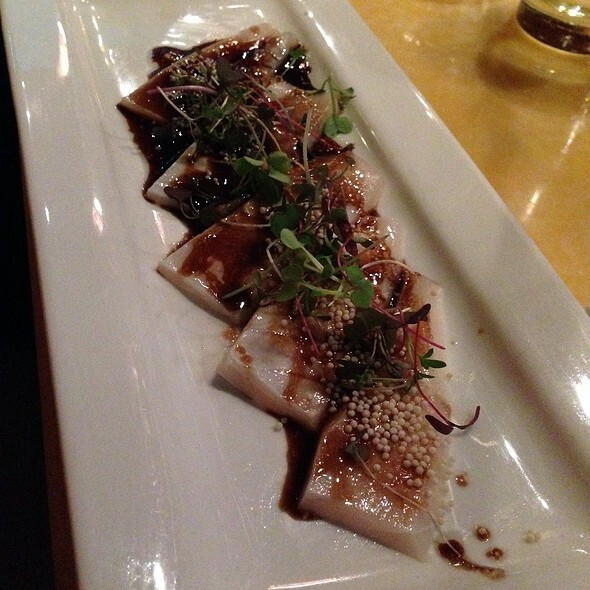 The food is consistently great and the service is always excellent. Great neighborhood find!! Pretty loud and tables so close together we were pretty squished, but service was great, food tasty and a reasonable bill when it was all over. Great sushi place in NYC with an amazing quality / price ratio and very fresh fishes. My go to place in Manhattan every time I have the time to get together with friends. This place is a gem! Perfect/large portions for reasonable price. Excellent service, always checking in on the table. Nice atmosphere. Small, but spacious, and has an exposed kitchen/bar. Food was great. Staff kept rushing us to take plates away (even while we were still eating). Didn't love the pressured atmosphere at all. Not my first time dinning in this restaurant, enjoyed it always - the food, the service and the overall presence are just great. Friends I recommended to dine there, were very happy and satisfied as well. Will be there again for sure. Despite having a reservation, we waited about half an hour for a table. After being seated, we were told that they had a big party coming in and asked if we would be willing to move. The food here was stunning - the fish beautiful, but it was WAY too crowded, even for NYC. Tables practically on top of each other making it almost impossible to hear the person across from you. The food makes up for it and I will probably be back, but it is really LOUD. Very clean, the fish is very fresh, and I love the little salad bar which is quite unusual in this type of restaurant. The wait staff works as a team and are all very pleasant, and efficient. The happy hour is just another excellent reason to dine here. Better than any fancy Japanese restaurant. Excellent quality and service! Dancing Salmon roll is my favorite. Great spot - always enjoy - the volume is quite high so you may need to employ some sign language. But, the food is great, the service is on point and you’ll be glad you went. Arrived for an early dinner before a hockey game and lucked into the happy hour enjoying some Sapporo drafts. The dumplings and tempura appetizers were very well prepared and the sushi and sushi rolls were excellent. the service was attentive and friendly. At under $100 for two, it was an excellent value. The service was very friendly, fast and efficient, but the food was a bit above average and the noise level too loud. I would try somewhere else before going there again. Very good food. Busy, bustling place so be prepared for a noisy crowded environment. Wait staff attentive but definitely felt that they were rushing us. Great for a good quick reasonable sushi dinner but not a date or business meeting. Spazio curato, personale gentile, pesce fresco, piatti curati. Buon rapporto qualità/prezzo. Consigliato. A great meal at Asuka Sushi with great service. We are locals and have dinner here about once a month. It’s always an enjoyable and really good meal - this evening was outstanding! 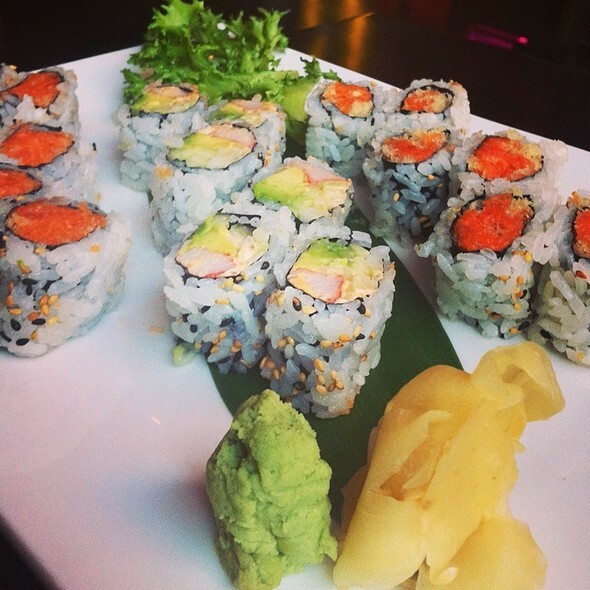 Fresh and flavorful, both our sushi and sashimi was excellent, and our soft shell crab couldn’t have been better! Special thanks to Ivy, who served us, and to both Sammy and Denise, who are always warm and welcoming. Busy Friday night, packed in like sardines. Too much information about the nearby diners! Great food. Will go back on a weeknight or order out. 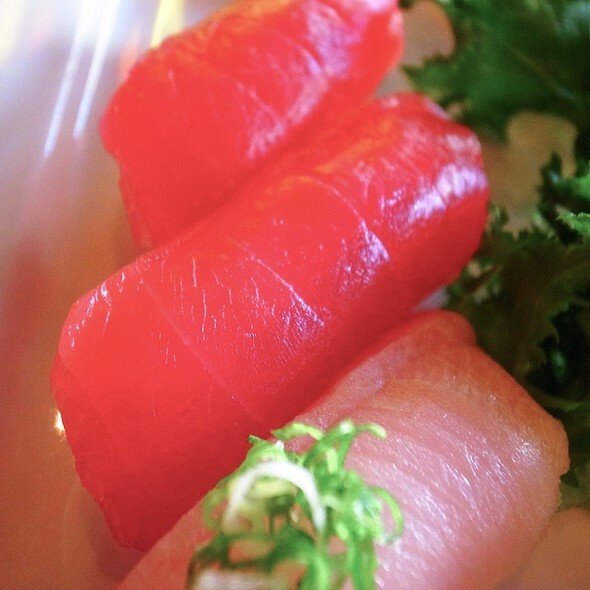 Asuka serves some of the best sushi I've ever had, and I eat sushi often at various restaurants around the world. Large portions of excellent quality fish served artistically arranged on lovely plates. The staff is exceptionally friendly, funny and efficient. My server was attentive and informative and encouraged me to try the tuna as it was excellent quality. He was correct, it was well above average. The only slight drawback is the restaurant is very noisy. Make reservations, it is a popular sushi spot. Everything was great! The service was quick and the servers did a great job of anticipating our needs. The food was fresh and delicious. Also great price for the amount of delicious food we received. Highly recommend!! Although we had a reservation at 18, we had to wait 30 minutes before we were seated. It’s not cool. Went for a Saturday lunch with a friend and was surprised how crowded it was! We both opted for a bento box which was chock full of good things and a real value at $20. Had the cheesecake for dessert (admittedly not a Japanese delight!) and it was still frozen in the middle. We had not issues eating it that way! I'd definitely go back again! The star of the show was the food. It is amazing. So good that we re-ordered one dish twice. The service was quite good and friendly. While crowded at a center table for two, we were very happy. We had a reservation and waited over 45 minutes for a table! That is completely unacceptable and we almost left. Service and food were both great after that, but it was very clear they had over-booked the restaurant. We had a lovely Valentine's Day Dinner at your place and we want to say thank you again! The food was really amazing and our waiter... just marvelous. Unfortunately we couldn't catch his name, but if you can still remember us, we're the French-Austrian couple. You asked me what "enjoy" means in Austrian. I hope you get to read this too. You made our evening just so much more delightful. Even though it was crowded and quite noisy he was so swift and we didn't have to wait too long for anything. So, yet again, thank you! It was a lovely evening and your chef deserves every respect - the sashimi and the sushi rolls were more than just delicious! Amazing service, our waiter was attentive and precise. My boyfriend and I came here for Valentine’s Day. The crowd was amazing. Great ambiance. The special rolls were very good. All fresh and tasted very good. I love the Chelsea Mai Tai. Happy hour is buy one get the second one fee. Great value, satisfying food with lots of selection and very pleasant service. Good happy hour. We’ll be back. Overall this place is very nice. The food was excellent and so was the service. It gets very crowded and noisy but it was worth dealing with that. I’d highly recommend this place for a fun night out in a lively Chelsea scene. The food was so fresh and nicely prepared. I’m going back soon. This place never fails to please. The staff are incredible - the food great and reasonably priced. I’ve been coming to this place for years but was very disappointed that I had to wait 30min past my reservation time. They weren’t nice about comping anything due to overbooking our table. Not sure if I will come back. Great service and delicious sashimi! Also they have a whole naruto roll menu which I always look for but can never find! Stephen is the best waiter. He's polite, kind, and knows his stuff.